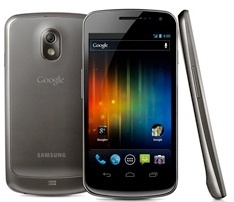 Earlier this week, Samsung announced that the flagship Galaxy Nexus would go on sale in Europe on November 17th. The device will cost 549 euro unlocked, as expected. Today, we get our first hint as to an American price for the smartphone, via Costco. A leaked screenshot of the inventory shows the wholesaler selling the device for $289.99, making it likely that Verizon will sell the phone at their average $299 price point for LTE phones with contract. There is still no word on release date but rumors have pointed to Black Friday. I'd rather pay the extra 250 bucks and stay out of contract with shady companies like Verizon.......or any of them for that matter. Except that it's not an extra 250 bucks, it's 549 euros, which is about $750. So count on an extra $450, not $250.